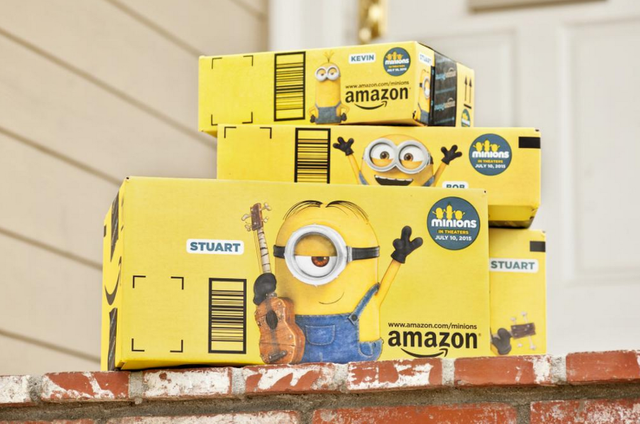 For the first time, Amazon has partnered with Universal Pictures and Illumination Entertainment to allow their famous branded shipping boxes to be coloured in bright yellow and feature characters from the upcoming 'Minions' movie. Thinking outside the box (pardon the pun) when it comes to advertising can certainly pay off as a way of standing out from the competition. Like a traditional print ad, the new Amazon boxes help promote the movie not only by raising awareness about the brand itself, but by noting the date the movie arrives in theaters (July 10). The boxes point also to a special Amazon URL. As it turns out, that website, amazon.com/minions, is a dedicated shopping site for all things “minions.” Amazon says more content will be added to the site as the film’s opening date approaches.